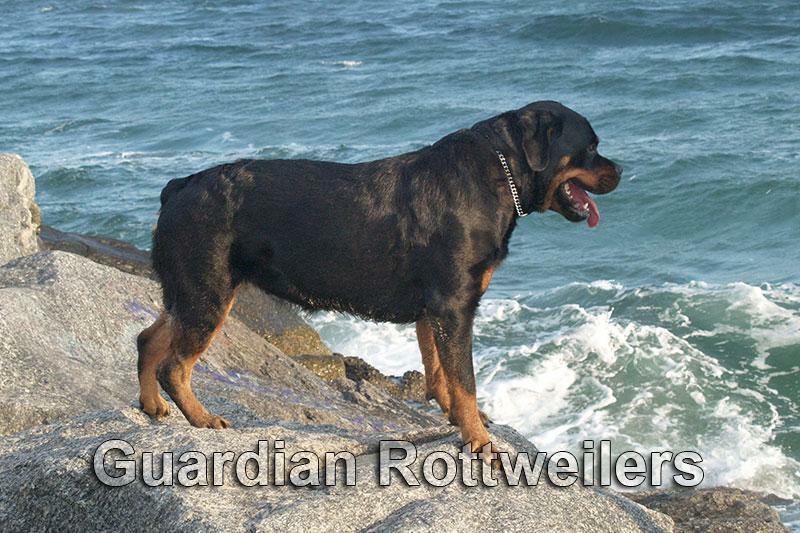 One article cannot have the scope to teach you how to train a rottweiler (or any dog for that matter) to reliably respond to your directions and be a well behaved companion. Fortunately William Koehler, a man who dedicated a lifetime to working with dogs, wrote a book that will show you how to achieve it step by step. If you were to buy only one book about dog training, do yourself and your dog a lifetime favor and make it The Koehler Method Of Dog Training (KMODT in short). There are countless books and articles on dog obedience training available, and %99 of them are nonsense. Of the %1 that have some value none are comprehensive, they offer bits and pieces of useful information scattered throughout the writing. But most dog owners are not in a position to make a good decision about what to implement and what to discard from a training program. KMODT is the only system that will infallibly take your dog from zero to fully trained, if you only follow it to the letter. Koehler was ahead of his time when he perfected his training method in the 60’s and wrote the books. His principles of dog training are timeless, and just as relevant today as they were back when there seemed to be more common sense in the world. It is strange that KMODT is out of print now when it’s so needed. But you can find used copies very inexpensively on Amazon and ebay. If you don’t mind reading in electronic format you can download the PDF version of the book here free. 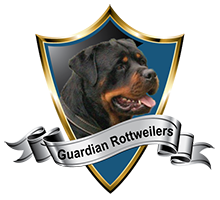 At Guardian Rottweilers we consider it our duty to bring attention to and endorse the Koehler method, as a means of ensuring our puppies grow to become wonderful companions to their owners and live life in a healthy emotional state. A dog will be balanced and healthy only if it has a clear understanding of its relationship with his owners, and knows it’s place within the family structure. This can only be achieved through good upbringing/training. The Koehler Method Of Dog Training is not a magic pill that will fix your dog. It requires a daily time investment, some degree of reading comprehension and physical coordination, and above all commitment. Living in Miami we enjoy weather that allows year round outdoor training. If you take your dog for a walk even once a day use the Koehler method, a well trained rottweiler will earn compliments everywhere you go.